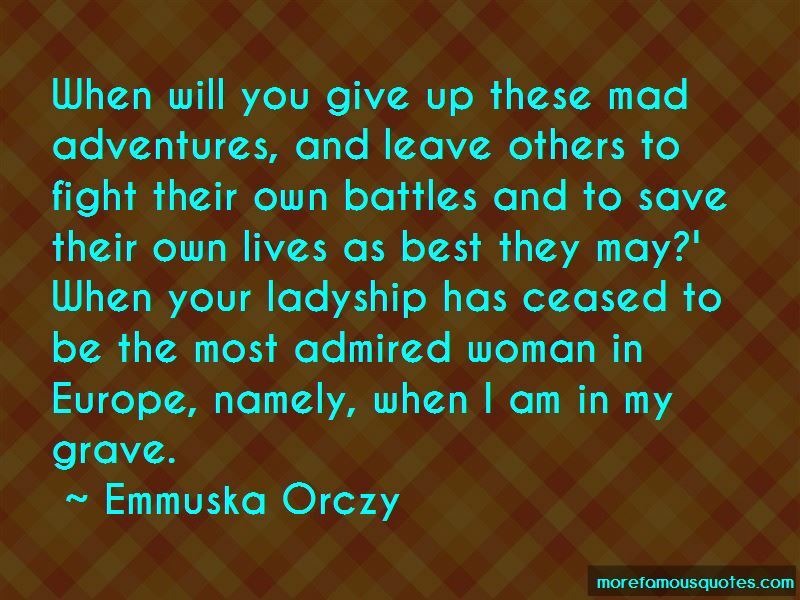 Enjoy the top 67 famous quotes, sayings and quotations by Emmuska Orczy. a strong man, overwhelmed with his own passion and despair. Pride had given way at last, obstinacy was gone: the will was powerless. He was but a man madly, blindly, passionately in love and as soon as her light footstep had died away within the house, he knelt down upon the terrace steps, and in the very madness of his love he kissed one by one the places where her small foot had trodden, and the stone balustrade, where her tiny hand had rested last. Among the hard lessons which varying Fortune teaches to those whom she most neglects, there is none so useful as self-control. the days when our prejudiced insularity was at its height, when to an Englishman, be he lord, yeoman, or peasant, the whole of the continent of Europe was a den of immorality and the rest of the world an unexploited land of savages and cannibals. “I wished to test your love for me, and it did not bear the test. You used to tell me that you drew the very breath of life but for me and love of me." 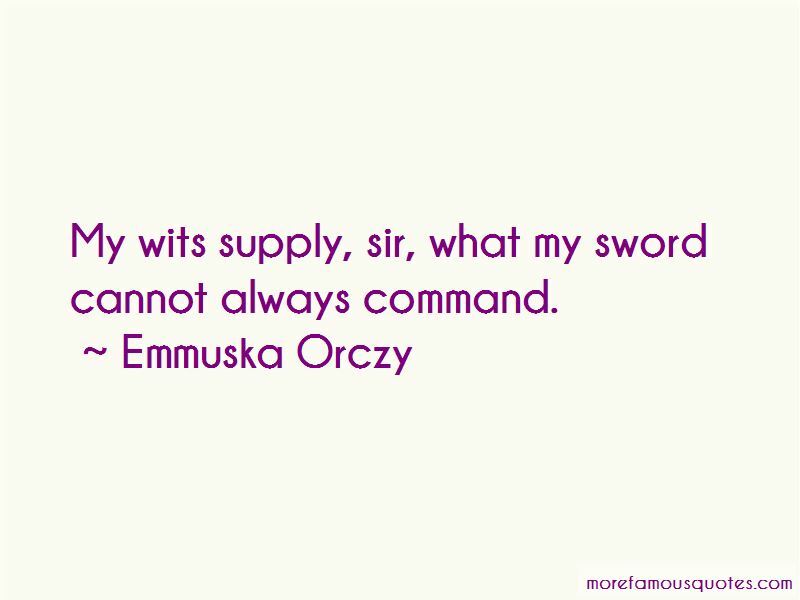 Want to see more pictures of Emmuska Orczy quotes? 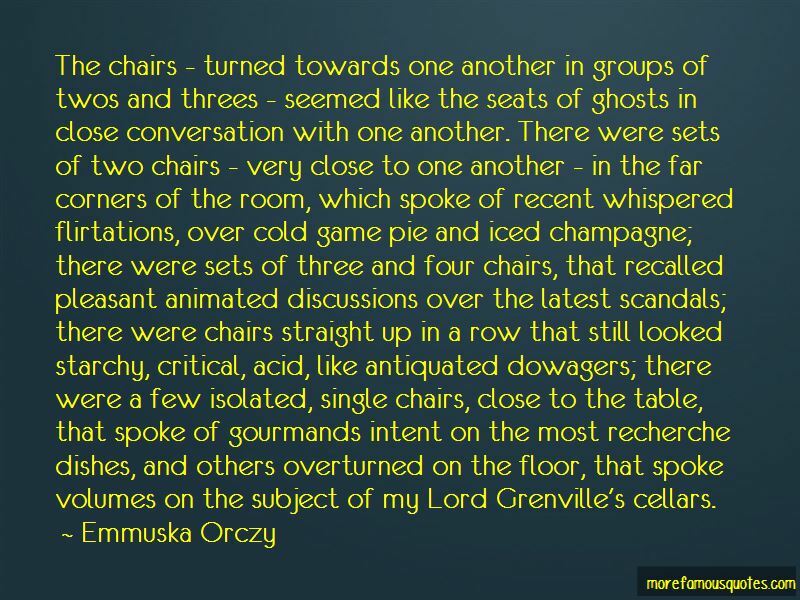 Click on image of Emmuska Orczy quotes to view full size.